In a highly prized area of historic Woburn, Maryland is the sensitive refurbishment of Maryland College - a handsome Arts and Crafts building - into just seven 2 and 3 bedroom apartments and five stunning detached executive homes, within the grounds. 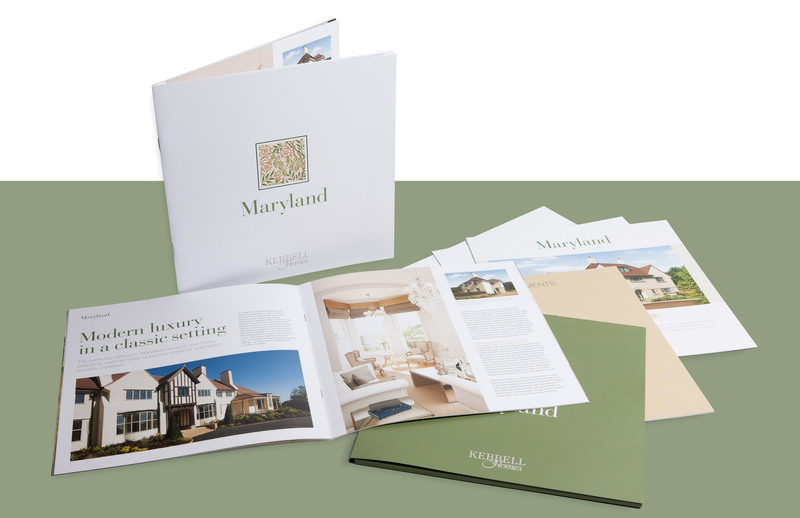 Consisting of a two phase development, we were tasked with creating an identity and marketing materials to capture the historic nature of the existing building whilst reflecting the very different architecture of the high end new build homes. 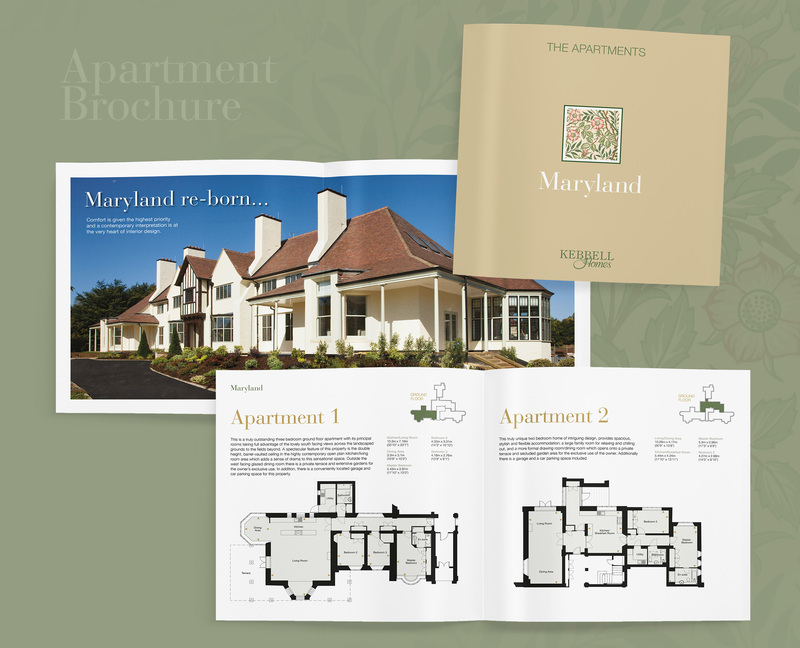 The identity and brochure concept subtly reflects the Arts and Crafts style of the original building and it’s historic past. Featuring a William Morris print as part of the identity, the colours formed the palette for the brochure design, whilst our location photography created an overall feeling of open space that the rural position enjoys. Due to the nature of the development, the property price range was quite wide. The refurbishment of the original building meant there were 2 and 3 bedroom apartments in a lower price range than the large detached homes. 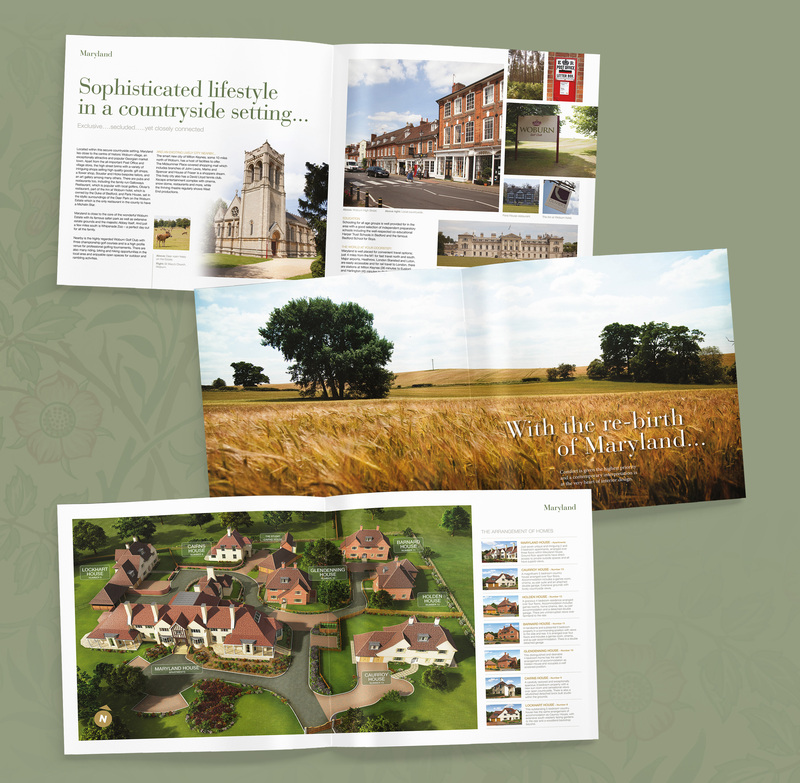 We presented the development with a main brochure to sell the history, lifestyle and location. The apartments had a brochure of their own and the houses each had individual 4 page brochures. All of this was presented in a folder, enabling the potential purchaser to be given the most relevant information for their requirements and budget. I was really pleased with the way the historic aspect of this site was reflected in the identity and the literature. 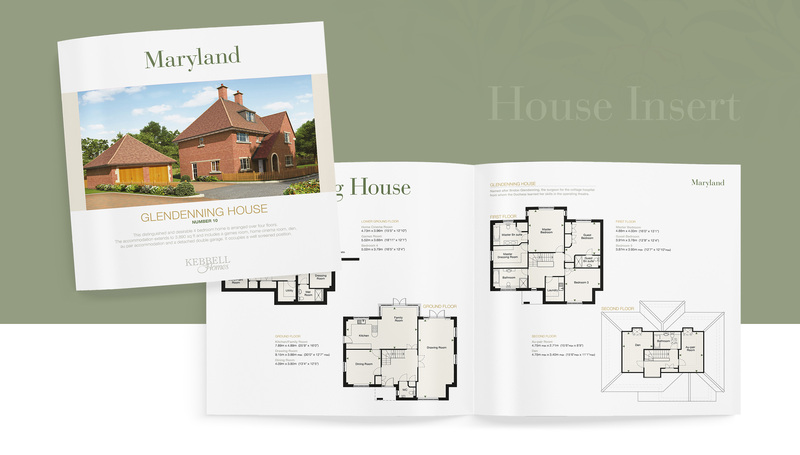 Lines picked up on the arts and crafts style of the building, incorporating it subtly, to deliver a finished brochure which perfectly reflected the high end nature of this scheme.